You know Nasdaq as a public market trading exchange, but you might not realize that it’s a publicly-traded technology company itself. Nasdaq invented the electronic exchange, and today provides the technology that powers 70 other exchanges in 50 countries around the world. We sat down with Bharat Patel, vice president of corporate IT, to talk about the challenges of turning a highly regulated financial services company like Nasdaq into a responsive, mobile, data-driven enterprise. How has IT changed for Nasdaq? It’s changed over the last two to three years for us. We used to be very centered on Europe and the U.S. Our focus has now become global, so we have to deliver many of our corporate services no matter where people are, and it’s got to just work. It’s got to be simple, and it has to be something that people will immediately use. It’s not just about accessing via mobile, traditional things like calendar and email—it's evolving now to where the desk is basically shifting away from the office. Our business is based on what's the next step, how do we get to the thing that is going to drive customer satisfaction, or help the customer with what they're trying to do? We have to be responsive. We cannot have lag in time in any of those activities. What is the role of identity in that shift? Having the ability to secure identity is just as important as enabling access to applications. We have to be careful about protecting identity, because it’s no longer within our boundaries. Identity is out there now. When we look at products that leverage internal identities for access, we are going to inspect a little further: "Okay, wait a second. That's fine, but how are you protecting that identity? Because that identity, if compromised, can come back internally and cause some pretty serious harm." What struck you most when you were evaluating Okta? The top requirements that we were looking for in an identity provider were, first of all, security. Whatever happens, the credentials or the identity could not be compromised. Second was reliability, it had to just work. Think about it, you show up at work and if your credentials don't work, how disruptive can that be? It had to work, but it had to work across multiple platforms, right? It couldn’t be just a single solution. The third is ease of use. It had to be so transparent the user wouldn’t even know it's happening in the background. What was so unique about Okta was how seamlessly those three requirements were coupled together. From a user standpoint, they would never see it. They would never see the fact that there's security behind this that's protecting their credentials and their identity. They wouldn't see the fact that when they press the button to log in, there's this miracle of communication that's occurring out there, that there's no single point of failure, and they don't have to remember their password. Initially it was funny. When our users were using the tool, they were waiting for some sort of OK button to come up, and we had to tell them "No you're logged in, go right ahead. There's nothing to OK. The system knows who you are and you're logged in." What’s next for Nasdaq on the identity front? Our appetite to continually explore and adopt and deploy new technology is bigger than ever. Fortunately, the world outside that used to be, if you will, insulated from us, is available now because we have a strong partnership with Okta. As Okta evolves its model, we can see clearly that we're talking about the next generation of identity. What we envisioned three, four, or even five years ago with biometrics and other capabilities—you're already down that path. Okta is focused not just on where they have been successful so far, but what is the next iteration of this technology? Mobility—the fact that it’s all being coupled together with mobile—that resonates with us. We like the fact that we're going to be partnering with Okta—that they’re going to take us along with them. I'm looking forward to it because I think it will challenge us. I like to be ahead of the curve. Alyssa Smrekar is our Director of Customer and Content Marketing at Okta. She is responsible for advocacy programs, content marketing, and corporate events. Alyssa’s team manages Okta's annual customer conference Oktane and considers it the best three days of the year! She's passionate about getting to know Okta's customers and highlighting their journeys across a variety of channels, both online and in-person, and building new content to drive awareness for Okta. 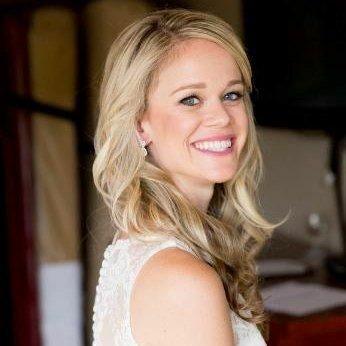 Prior to Okta, Alyssa managed field marketing and demand generation programs at VMware, SpringSource, VerticalResponse and BlueBird Marketing. Alyssa graduated from UC Berkeley (Go Bears!) and currently lives in San Francisco.